An impressive 939 multiple myeloma (MM) abstracts are to be presented at the American Society of Hematology (ASH) 2018 Annual Meeting and Exposition in San Diego, CA. We had the pleasure of meeting with leading MM experts Mohamad Mohty, MD, PhD, from the University Pierre & Marie Curie, Paris, France and Saad Usmani, MD, FACP, of the University of North Carolina School of Medicine, Chapel Hill, NC, to discuss the biggest news in MM. 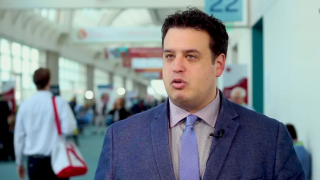 This is your definitive guide to multiple myeloma at ASH 2018. MM abstracts accounted for over a quarter of the total abstracts from ASH 2018. Mohamad Mohty is joined by Saad Usmani to review the key data and news from this year’s meeting, including the latest trial data, such as the POLLUX (NCT02076009), CASTOR (NCT02136134), ALCYONE (NCT02195479) and the MAIA (NCT02252172) clinical trials. Exploring novel combinations, these trials have the potential to influence MM practice. Dr Mohty and Dr Usmani share their insights on how to consider, and possibly incorporate these updates into their own clinical practice. 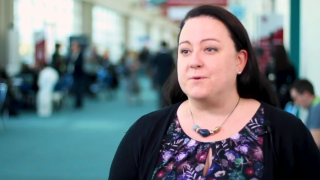 What is the role of transplant today in MM? 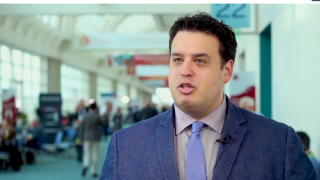 Mohamad Mohty and Saad Usmani take time to evaluate this question as they review the big news in MM from ASH 2018. Together they discuss the results of the GRIFFIN trial (NCT02874742) and contemplate the presentation given by Francesca Gay, MD, University of Torino, Torino, Italy, (abstract 121), which investigated the efficacy and safety of KRd induction-ASCT-KRd consolidation (KRd-ASCT-KRd) vs 12 cycles of KRd vs KCd induction-ASCT-KCd consolidation. These considerations bring into focus the value of measurable residual disease (MRD) in clinical trials. Interest continues to grow around to the role of MRD in MM. Mohamad Mohty and Saad Usmani share their views on MRD assessment, discussing the need for thresholds in its evaluation within a clinical setting. Together they review the practical implications of the various methods of MRD measurement, including flow cytometry and next-generation sequencing. In addition, they consider the need for imaging, PET-CT, in disease assessment. The field of immunotherapy in MM continues to grow in leaps and bounds. ASH 2018 has been an excellent opportunity for the latest immunotherapy advancements to be presented and discussed. Mohamad Mohty and Saad Usmani dive into the exciting developments including CAR-T and monoclonal antibodies. BCMA continues to be a favored target for CAR-T with no fewer than six constructs under investigation. Bi-specific antibodies are yet another area of great potential under the spotlight in this chat, with AMG 420 offering an “off-the-shelf” option. The final chapter of this special tête-à-tête featuring MM leader experts Mohamad Mohty and Saad Usmani review treatment options beyond immunotherapy. Venetoclax, selinexor and axitinib are promising agents and have come under focus during the meeting. Dr Mohty and Dr Usmani share insights on the STORM (NCT02336815) and TOURMALINE-MM3 study (NCT02181413), both presented at ASH 2018.